From the acclaimed author of the international best seller Einstein’s Dreams, a lyrical memoir of Memphis from the 1930s through the 1960s: the music and the racism, the early days of the movies, and a powerful grandfather whose ghost continues to haunt the family. Alan Lightman’s grandfather M.A. Lightman was the family’s undisputed patriarch: it was his movie theater empire that catapulted the family to prominence in the South; his fearless success that both galvanized and paralyzed his descendants, haunting them for a half century after his death. In this lyrical and impressionistic memoir, Lightman writes about returning to Memphis in an attempt to understand the people he so eagerly left behind forty years earlier. As aging uncles and aunts begin telling family stories, Lightman rediscovers his southern roots and slowly realizes the errors in his perceptions of his grandfather and of his own father, who had been crushed by M.A. Here is a family saga set against a throbbing century of Memphis—the rhythm and blues, the barbecue and pecan pie, and the segregated society—that includes personal encounters with Elvis, Martin Luther King, Jr., and E. H. "Boss" Crump. At the heart of it all is a family haunted by the ghost of the domineering M.A., and the struggle of the author to understand his conflicted loyalties to his father and grandfather. 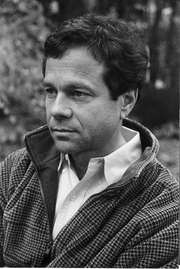 Alan Lightman is the author of six novels, including the international best seller Einstein's Dreams and The Diagnosis, which was a National Book Award finalist. He is also the author of two collections of essays and several books on science. His work has appeared in The Atlantic, Granta, Harper's Magazine, The New Yorker, The New York Review of Books, and Nature, among other publications. A theoretical physicist as well as a writer, he has served on the faculties of Harvard and MIT, where he was the first person to receive a dual faculty appointment in science and the humanities. He lives in the Boston area. Thursday, March 5 at 7pm - Alan Lightman, "Screening Room: Family Pictures"
Please join us on Thursday, March 5 at 7pm when we welcome Alan Lightman back to the Bookshop with his newest book, a family memoir of Memphis in the 1930s-1960s, Screening Room: Family Pictures. Alan Lightman is the author of six novels, including Einstein’s Dreams and The Diagnosis, which was a finalist for the National Book Award. He is also the author of three collections of essays and several books on science. His work has appeared in The Atlantic, Granta, Harper’s, The New Yorker, The New York Review of Books, and Nature, among other publications. Trained as a theoretical physicist, Lightman has taught at Harvard and at MIT, where he was the first person to receive a dual faculty appointment in science and the humanities. He lives locally. From the acclaimed author of the international best seller Einstein’s Dreams, here is a stunning, lyrical memoir of Memphis from the 1930s through the 1960s that includes the early days of the movies and a powerful grandfather whose ghost remains an ever-present force in the lives of his descendants. Alan Lightman’s grandfather M.A. Lightman was the family’s undisputed patriarch: it was his movie theater empire that catapulted the Lightmans to prominence in the South, his fearless success that both galvanized and paralyzed his children and grandchildren. In this moving, impressionistic memoir, the author chronicles his return to Memphis in an attempt to understand the origins he so eagerly left behind forty years earlier. As aging uncles and aunts begin telling family stories, Lightman rediscovers his southern roots and slowly recognizes the errors in his perceptions of both his grandfather and his father, who was himself crushed by M.A. The result is an unforgettable family saga that extends from 1880 to the present, set against a throbbing century of Memphis—the rhythm and blues, the barbecue and pecan pie, the segregated society—and including personal encounters with Elvis, Martin Luther King Jr., and E. H. “Boss” Crump. At the heart of it all is a family haunted by the memory of its domineering patriarch and the author’s struggle to understand his conflicted loyalties. Alan Lightman is currently considered a "single author." If one or more works are by a distinct, homonymous authors, go ahead and split the author. Alan Lightman is composed of 10 names. You can examine and separate out names.